If you are looking for a reliable, cost-effective solution to a HVAC, refrigeration, or plumbing service problem, why not consider one of our sponsors? 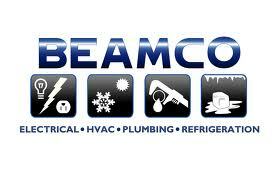 BEAMCO has performed electrical, plumbing, and HVAC installation and service to the post and many of our members. They are not only competitive, but we trust them to provide the service we expect. Click on their ad to visit their website. Tell them you saw their ad here. BEAMCO provides residential and commercial electrical repair and engineering, as well as plumbing, HVAC, and refrigeration. BEAMCO has provided residential and commercial electrical repair and engineering, as well as plumbing, HVAC, and refrigeration to the Chapel Hill area for over 30 years. He is also a veteran and is actively supporting veteran’s programs in our community. If you are looking for a person who understands your needs and can service new or older equipment, he is your choice.